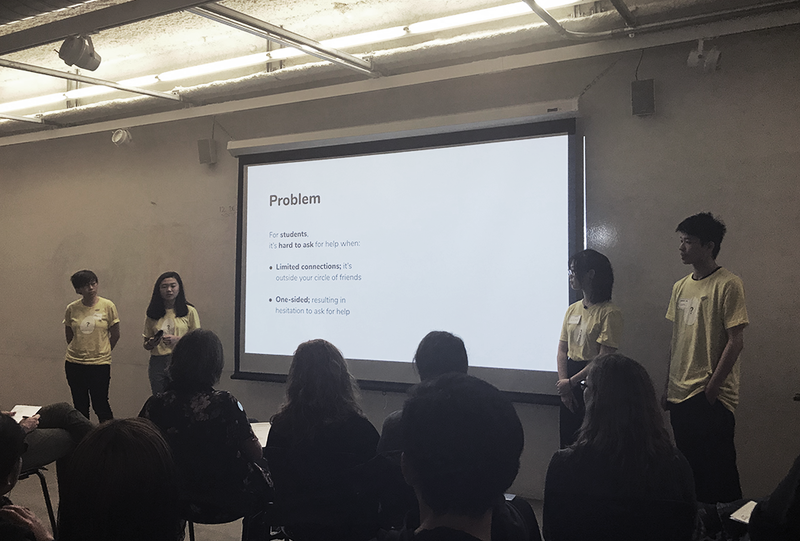 This project is part of Creative Founder, an entrepreneurial class created to help budding designers bridge their design skills with businesses. In this class, we weren’t students but founders of a company. We spent the first part of the class trying to validate the problem by talking to plenty of our target users; going back to the drawing board of ideas if the problem isn’t validated. 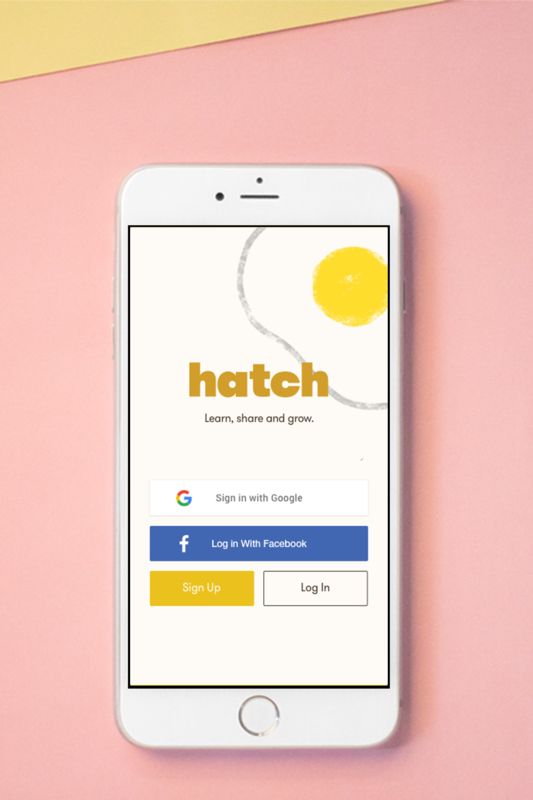 Hatch is a peer-to-peer skills-exchange platform designed to create a more collaborative and conducive learning environment for students by encouraging them to help one another. Our vision is to create a platform and encourages openness and collaboration in learning, so everyone can learn, grow and share with one another. Students are constantly learning new things and often encounter hiccups in the process. They try to figure it out on their own but to no avail because problem-solving alone isn't the most effective way. Asking someone who has learned it before for help is faster and sometimes, more effective. By expanding students' networks, they will also be exposed to more students, therefore leading to more people for them to learn from. Create opportunities for students to learn from each other. When the learning experience is reciprocal, the fear of feeling burdensome and hesitation in asking for help is eliminated. 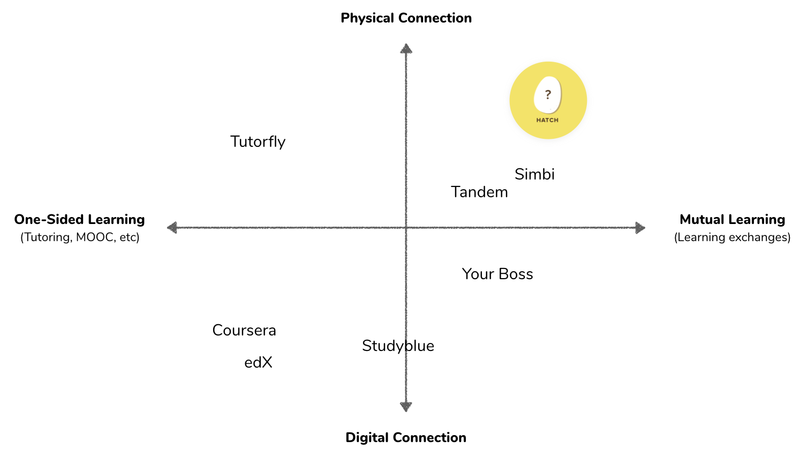 A peer-to-peer skills-exchange platform designed to create a more collaborative and conducive learning environment for students by encouraging them to help one another. During sign-up, students will be prompted to put their learning and sharing goals. Hatch suggests peers to students by aligning their learning goals and interests. Students are able to connect with this pre-selected group of people after. After students have connected with one another, they can converse with their learning peers and get to know one another. 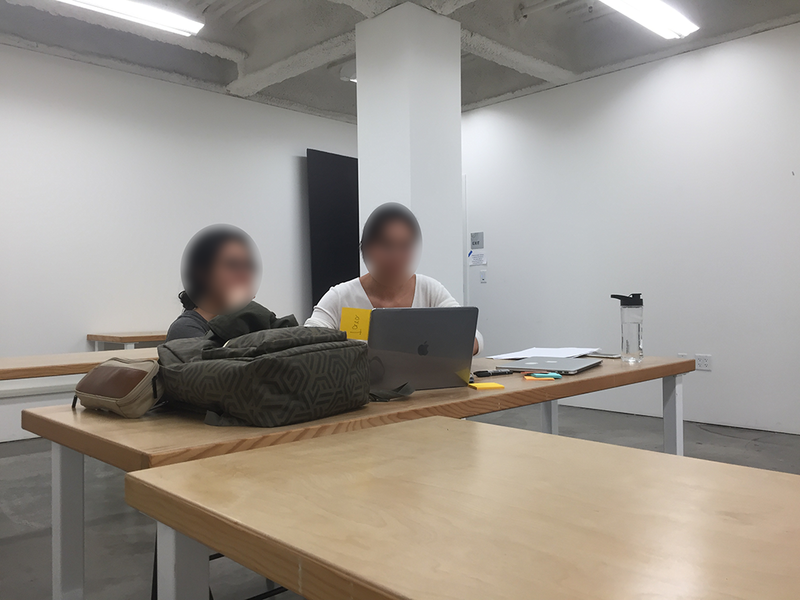 Our team had spent half of the first part of class on a completely different business idea, and so we didn’t have much time left for this one. So, we had to get scrappy in order to get the most amount of feedback and research to catch up with the class. We posted huge posters that allowed students to write their responses around campus to gather feedback from students. 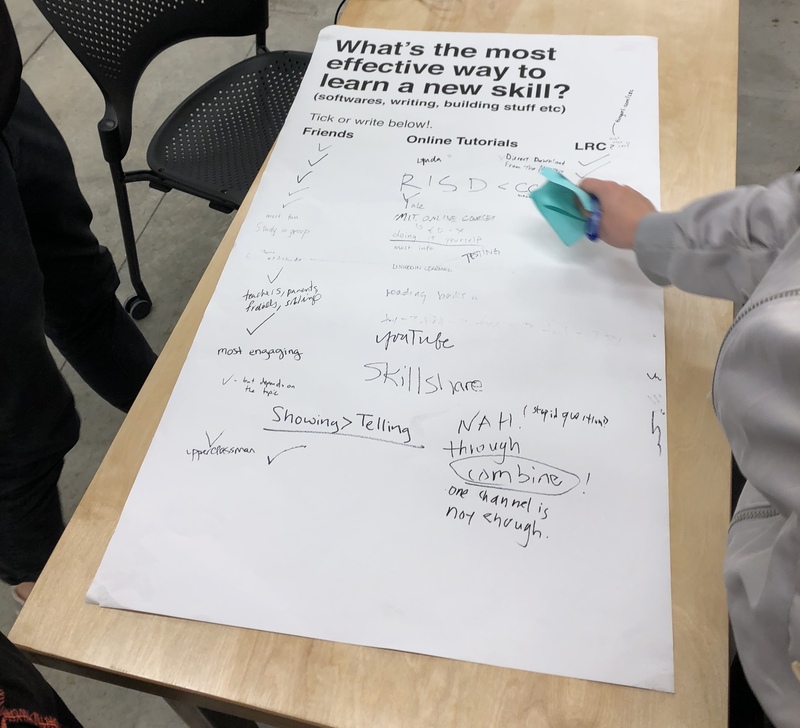 We asked people what they found to be the most efficient way to learn by encouraging them to respond on the posters. The responses aligned with our initial hunch: learning is more effective with the help of friends. Helping others is also a form of learning. 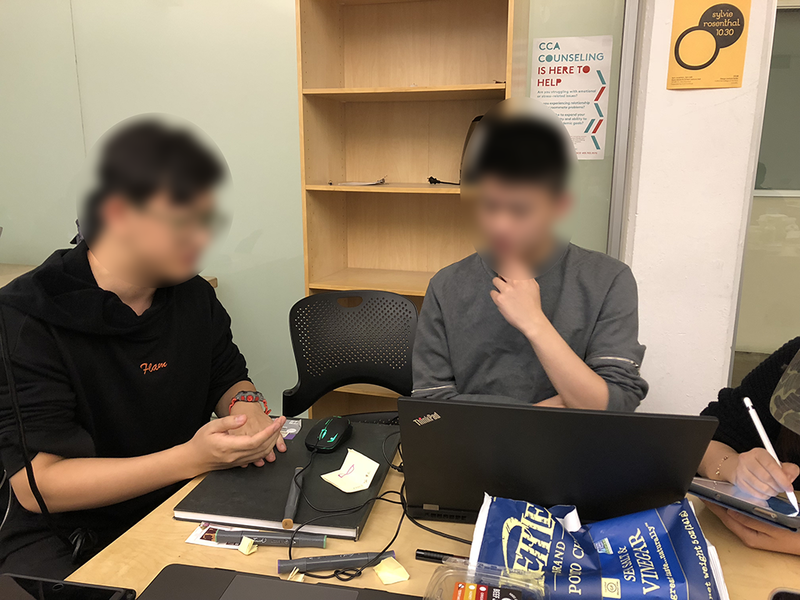 A few other students also mentioned that when they're helping and teaching their friends, they get a recap of what they learned, and in turn, know and understand it better. There is hesitation in asking for help. People do not want to seem like a burden and usually only ask for help when friends who can help them are physically near them. We were also on-site to publicize about our new initiative and garner sign-ups for interested parties. We did this for about three days and 80 people signed up. We also placed these sign-up forms and boxes around campus to get more people to sign-up. These sign-up boxes were also our way of concept validating because more sign-ups would be an indication that there is a need that we can fulfill. Students who already have specific questions in mind and just want answers. Students who used the session to share their learning experiences and sharing best practices. Students who shared about their own individual practices and were inspired by one another’s processes and methods. 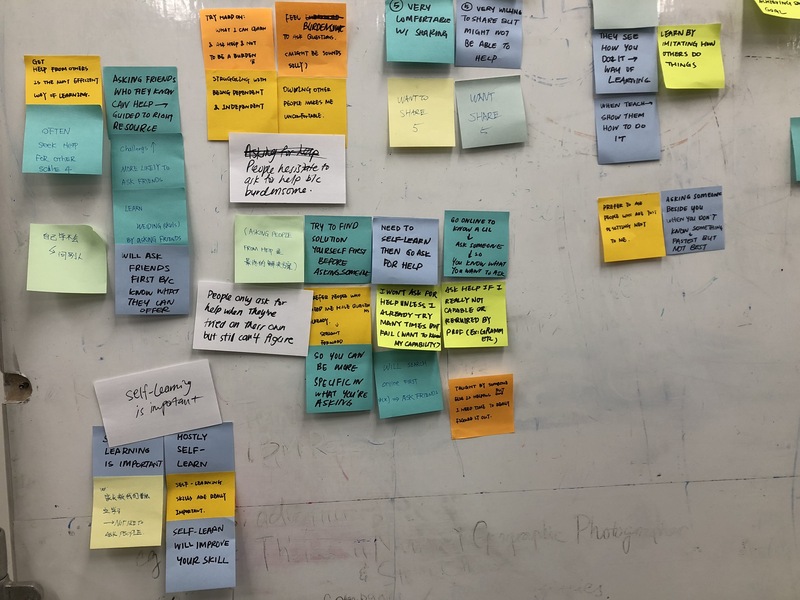 On top of that, before we prototyped the experiences, we had some pre-conceived notions. We weaved our assumptions in to the prototype experiences to find out if they were right or wrong. Assumption 1: Only complementary interests need to be considered in a connection. Wrong. There are more factors to consider in a connection because students are not interested in a purely transactional relationship. 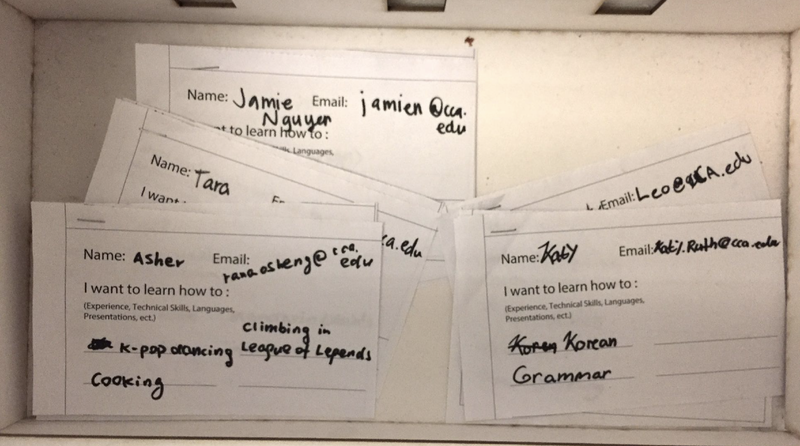 Other things like shared learning goals were also important for students to have a fruitful and enjoyable learning exchange experience. Assumption 2: Students will have a more comfortable learning experience if they can choose who to learn from. Partially true. Students like the flexibility of seeing peers suggested by Hatch, and browsing from a directory. Assumption 3: Students will be more comfortable if we can help to bridge and break the ice for them. True. 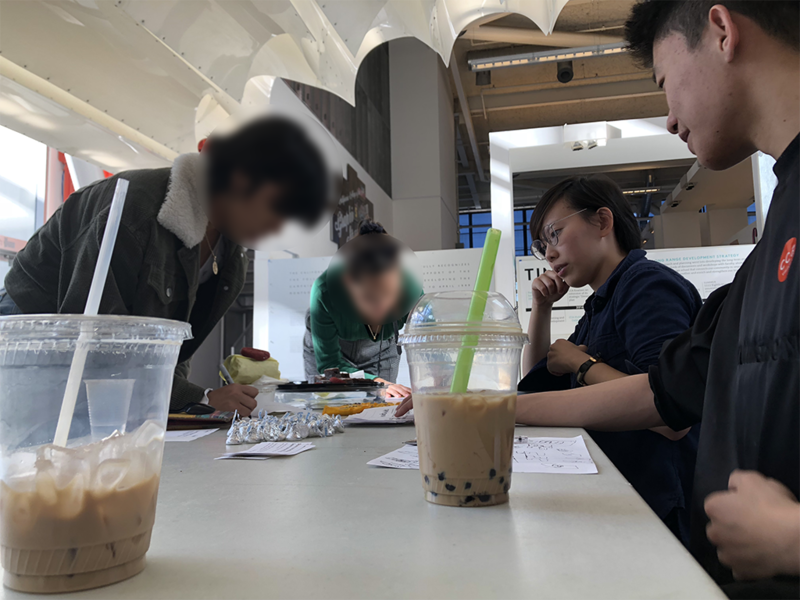 When we started the conversation and introduction for them, students felt more at ease and oriented to continue the learning experience after. In order for learning exchanges to be effective, students should have a basic understanding of what they want to learn and come prepared with questions. Setting up a time and place that fits both students' schedules can cause hindrance to the meeting. 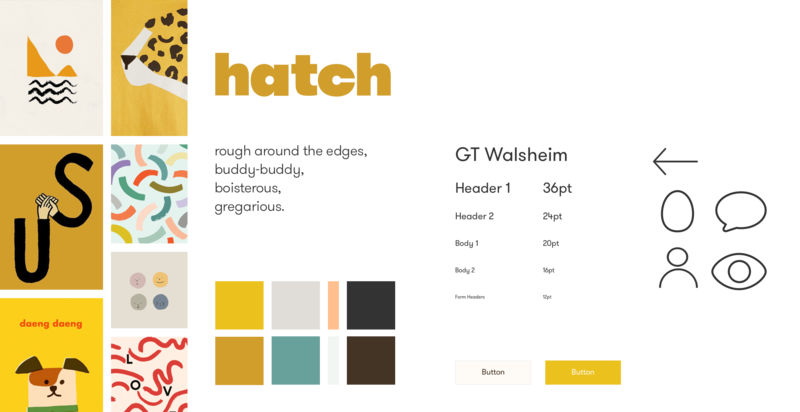 We mapped out a task flow and wireframes for the Hatch app based on the feedback we gathered from our usability testings. What we didn't include was the 'Endorse Peer' feature at the end of the journey. This is because of very conflicting opinions that we got from students—they either hate it or love it. With the interest of time, we decided to focus on the rest of the features that we knew were more crucial for the MVP. We also looked at comparators to distinguish how similar or different we are from them, and what value proposition we can offer that might differ from existing services. Students will be prompted to write their learning and sharing goals during sign-up when they are creating their profile. This is to ensure that we can assess and connect students compatibly through their shared learning/sharing goals and interests. 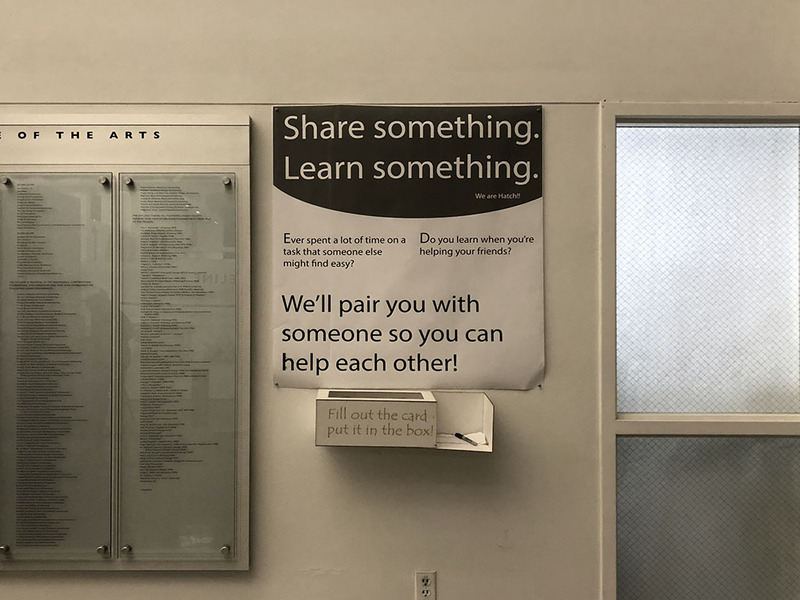 Hatch suggests peers to students that might make compatible learning partners by aligning their learning goals and interests. This is so that students can bond and continue supporting each other throughout their learning journey. Hatch will then suggest peers with similar learning interests so they can for a learning partnership. Students can connect with one another should they wish to. After students have connected with one another, they can converse with their learning peers and get to know one another. At the beginning of each conversation, Hatch will help to break the ice by starting the conversation for them. This way, they will be able to orientate and continue the conversation. We had an ask of $520,000 to kickstart our product and achieve our next milestones and pitched this to a group of 11 investors where 9/11 of them invested, totaling the investment to $1,681,500. View our Final Pitch deck here. Conduct more user interviews and testings with digital prototype in order to refine the direction and idea further. Adding simpler ways to schedule time and location with each other. Ideate ways in which students can adjust their comfort levels in the sharing and learning of a skill. Talk to more schools and cafeterias for possible partnership opportunities in an attempt to solve the logistics issue. I also learned and grew so much from this experience as a CEO of a start-up that we created from scratch. From leadership skills, to public speaking to operating a business.